Description: The Electronic Waste Recycling project is a continuation of a previously started project from last school year’s Cell Phone Recycling Program (CPR) ran by Tim Schmidt. The school has an electronic waste program, but before this project began there was no largely advertised program to collect electronic waste from OWU students, especially pertaining to the residential side of campus. The original program, achieved attaining lockable receptacles that were supposed to be strategically placed across campus. The problem with these receptacles is that, even though they are located throughout campus, most students are not aware of their presence, nor are they aware of any efforts by Ohio Wesleyan students or staff to properly recycle electronic waste. Across the world, there are millions of tons of electronic waste produced each year. This electronic waste is mainly produced in developed countries and sent overseas and dumped in many underdeveloped nations in Africa andAsia. Lydia Hoefel and Chris Demecs have several goals, one being to inform the OWU community of the problems and dangers of improperly disposing of electronic waste, and how the OWU community can dispose of our electronic waste properly. As of now, there are currently several e-waste cell-phone recycling receptacles, but they are not used as they are intended, but rather as trash or regular recycling receptacles.Lydiaand Chris will be going around campus and collecting all of the receptacles, cleaning them out and revamping them so they are more easily identified as electronic waste receptacles and not confused with anything else. The receptacles need to be more noticeable in order for them to actually fulfill their purpose. They are also going to place more of an emphasis on the residential side of campus rather than the academic side. Sean Kinghorn, the sustainability coordinator of Ohio Wesleyan, as well as Information Services already have minor electronic waste recycling programs on the academic side of campus involving communicating with staff and faculty about what equipment and electronic waste can and cannot be recycled. In order to raise awareness of electronic waste recycling, Chris andLydiawill be creating pamphlets with pertinent information about the benefits of electronic waste recycling and will be tabling at HamWill during lunch hours to inform the student body about electronic waste, and ways to responsibly recycle electronic waste on campus. Along with the pamphlets they will create a facebook page dedicated to the Ohio Wesleyan University Electronic Waste Program. This page along with the pamphlets and tabling will server to promote the electronic waste drives that are to be held tentatively on Earth Day which is on April 2, 2012 and during student move out at the end of the year. By observing Tim’s previous attempts at recycling electronic waste as well as through researching other electronic waste recycling programs at other universities, the Electronic Waste Recycling program aspires to be a socially and environmentally conscious program at Ohio Wesleyan that looks to be successfully continued in the years to come. Lydiaand Chris will Create a facebook page to advertise our events as well as spread information about electronic waste recycling and the detrimental effects of dumping electronic waste instead of recycling. Then, they will visit electronic waste recycling facilities to see how they are managed and what actually happens to the waste. The next step is to create pamphlets to hand out to the OWU community while tabling at hamwil. After that they will create posters to promote the drive that is scheduled tentatively for earth day 2012. The receptacles will be revamped in order to make them more noticeable to the student body. The plan is to have at least one receptacle done by the first day of tabling to have it on display and start putting the image into students’ heads so the will know what to look for when they decide to recycle their electronic waste. Sean Kinghorn, Sustainability Coordinator of Ohio Wesleyan University. Sean has so far been a great asset to this project. Sean has been working on researching the recycling plants, and checking on their current certifications to investigate exactly where electronic recycled waste goes. He also has provided information regarding recycling on campus, and has connected the electronic waste recycling program to the end of the year move-out collection. Sarah is involved in the end of the year move-out collection, aspiring to collect recyclable and reusable goods from the residential side of campus. As a final step to the electronic waste recycling program, the program plans to coordinate with the end of the year move out to collect any remaining electronic waste left on campus, or improperly disposed of by Ohio Wesleyan students. Possitivity Recycling Center. http://www.possitivity.com/index.php. 2/29/2012. Possitivity Recycling Center is located in Dublin, Ohio and is one of the current providers of an electronic waste recycling program to Ohio Wesleyan University. Most recyclable goods are free of charge to recycle; however, there are some goods, which actually cost the university to recycle. This is important to keep in mind when considering the amount of electronic waste that could be potentially in the dorms on Ohio Wesleyan’s campus. Sims Bros., Inc. Recycling and Scrap Processing. http://www.simsbros.com/. 2/29/2012. Sims Bros. Inc. is also a recycling center in Delaware, Ohio. Last year, Sims was able to provide Ohio Wesleyan with recycling services free of charge. Outsmart Waste is a source that Tim Schmidt mentioned in his cell phone recycling program. Outsmart waste is a program in New Jersey (Ironically) that has created a national recycling system that looks to get rid of the idea of “waste.” As philosophical as Outsmart Waste sounds, it actually claims to, “eliminate the idea of waste,” being able to recycle items classified as non-recyclable. Article Stable URL: http://0-www.jstor.org.dewey2.library.denison.edu/stable/41203250 The health concerns involved in recycling/ dumping electronic waste in landfills is a very vital cause to the electronic waste recycling project. The project outlines to inform the University community about the downsides to electronic waste and practical ways in avoiding these downfalls. Schmidt, Tim. “OWU Cellphone Recycling Program.” Environmental Geography WordPress. N.p., Jan.
2012. Web. 29 Feb. 2012. Tim Schmidt’s cellphone recycling program acts as a prototype to the electronic waste recycling program. Through Tim’s program the electronic waste project has so far realized that just implementing bins for recycling on campus is not a particularly effective strategy for dealing with the problems of electronic waste. Association for the Advancement of Sustainability in Higher Education. N.p., 2012. Web. 29 Feb. 2012. This association will be helpful in referencing colleges with similar recycling programs. The site acts as a large intermediary organization that records and connects multiple universities to different sustainability projects. Recycling E-Waste. Tulane University , 2011. Web. 29 Feb. 2012. 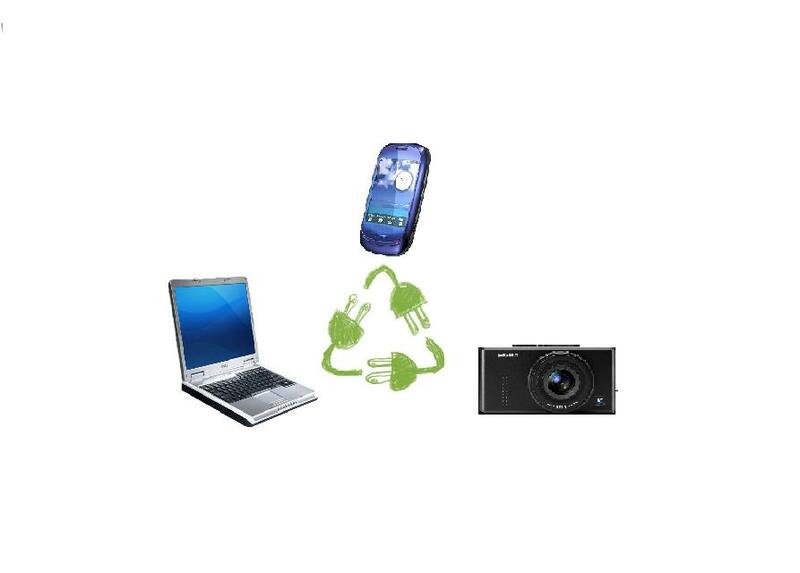 Tulane University in Louisiana has implemented an electronic waste recycling program. The Ohio Wesleyan Recycling Program will reference Tulane’s recycling project. The Environmental Health Perspectives Journal offers several informational sources regarding the negative effects of hazardous waste. This information will be used in print and web media in the public awareness section of the Electronic Waste Recycling Project. Lydia and Chris will create a Facebook page to advertise our events as well as spread information about electronic waste recycling and the detrimental effects of dumping electronic waste instead of recycling. Then, they will visit electronic waste recycling facilities to see how they are managed and what actually happens to the waste. The next step is to create pamphlets to hand out to the OWU community while tabling at Hamwil. After that, they will create posters to promote the drive that is scheduled tentatively for Earth Day 2012. The receptacles will be revamped in order to make them more noticeable to the student body. The plan is to have at least one receptacle done by the first day of tabling to have it on display and start putting the image into students’ heads so they will know what to look for when they decide to recycle their electronic waste. The Electronic Waste Recycling Project will also help sort the electronics received by the end of the year move-out collection project, so that future students who recycle electronic waste/ participate in the end of the year move out project will know what is appropriate to be reused, or recycled at designated electronic waste recycling facilities. We are planning to continue working on the Artistic Recycling Bins Project that has been started by students in the past. The plan is to take the work that they have done so far and move the process forward, hopefully to the point of building full-scale models. We are planning to stick to the designs for the shapes of the bins that they have already come up with: two triangular, paper and bottles/cans that sit together forming a square. List of supplies, can we get money to fund it? Where can we build the forms? Is there room in the Science Center to make them? How long do they take to dry/harden? Can it be done in the basement? And how much room do they take up while drying, do they need ventilation? Need to figure out a way to attach them together because each side is built separately, this should also be sustainable also? How many should we make? How many are in the Science Center now, how many should we aim on replacing? Ratio for mixing the paper plaster and water? Before spring break: Do a test of the plaster and paper mixture to see how long it takes to dry and how much shrinkage there is involved in the process. First 2 weeks back from spring break (March 18-31): Buy the plywood and get it cut with the help of Jon Quick and Kristina Bogdanov and assemble the molds so that we are ready start. We will also need to buy the blenders, get a store of paper and make sure we have enough plaster. In the following 2 weeks (April 1-15): we will mix up the concoction and create the panels for the sides and at least top for the recycling bin (we are still undecided if we will use a paper based substance or some other material for the bottom). After it is fully dried: We will work to connect the sides together and create the first model of these artistic recycling bins. At this point we will access the project for any flaws and if time permits fix them and create another more improved model. Goal for the semester: Create a working full sized model of these paper and plaster based recycling bins that will function properly. If at all possible make 2 so that they can work as a set, one for paper and one for bottles and cans, to show how they are supposed to relate to each other. Cahillane, Jamie and Susan Slattery. 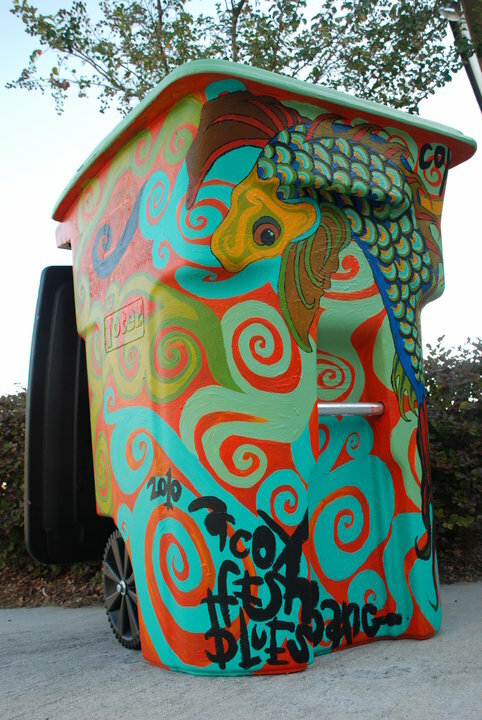 Beautiful Bins: Using art to encourage community recycling. CET: Center for Ecological Technology. August 2007. <http://www.cetonline.org/AboutCET/PressReleases/WasteAge.php>. Jon Quick, Sculpture professor- For cutting the plywood molds we will need to use the woodshop in Haycock Hall the 3D fine arts building. Jon has offer to help with this, especially with cutting the edges of the sides of the molds at acute angles as opposed to right angles. Kristina Bogdanov, Ceramics Professor- She has been the most involved professor with this project in the past and has offered to help/teach us how to mix the plaster and walk us through the process the first time. She has also mentioned that the Ceramic studio might have some extra plaster that we could use at least for the initial phases of the process. Lauren Leister and Sarah Johnson. A.R.T. Art Recycling Today. Project write-up for 2011 fall semester. “More Art, Less Trash” artistic recycling bins to be installed on campus. IU News Room. 1 April 2008. <http://newsinfo.iu.edu/news/page/normal/7902.html>. Trashed: Art of Recycling. Global Inheritance: A 5013C Nonprofit Organization. <http://www.globalinheritance.org/trashed-art-of-recycling>. 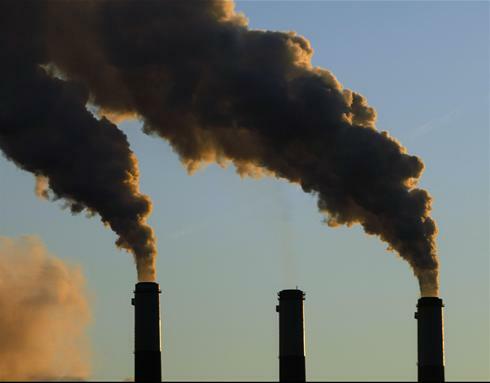 The US government has invested 106 million dollars into using CO2 emissions to create useful products such as fuel, plastics, cement and fertilizers. this would be a great use of these emissions. Six firms have been chosen to figure out how to create such products. In the reading on Carbon Dioxide i found a few things interesting. One aspect that intrigued me was the part concerning carbon’s role in a full globalized economy. The author discusses how imposed limits on carbon would force entrepreneurs to come up with creative, but expensive methods to create products that emit less carbon and created a production process that emits less carbon as well. this sounds like a positive idea, but would these entrepreneurs move to countries with little or no restrictions on carbon, taking business out of the home country and still havea production process that hurts the environment as well as products that do? Another idea i found interesting was command and control thinking. providing incentives for firms to follow government imposed regulations seems like a good way to get companies to respond. these incentives will provide a medium for firms to research and develop new technology and find the least costly way to do so. Personally i believe governmental restrictions are the way to go. society as a whole will not be overly concerned with carbon emissions unless it is strictly brought to their attention with the possibility of incentives for following restrictions and penalties for not following them. i feel the best way for governments to impose these restrictions is to offer incentives. that way many companies figure out as many ways as possible to find the best way to reduce emissions. Hybrid and electric vehicles have been an up and coming trend about fuel conscious as well as environmentally friendly conscious consumers in the past few years. The emergence of the Nissan Leaf, Chevrolet Volt, and all-time classic Toyota Prius have all been targeted as potentially culture-changing or society-adapting products to the problems of rising fuel prices, and threat of environmental climate-change. The technology however, is not ground breaking. In fact, an article from The New York Times reports that hybrid technology has actually be observed as early as the 19th century. Porsche created the “Elecktromobile” in the early 1900s. Hybrid technology seems to be a recurring trend, that is described in The New York Times as a trend that in the past has died quickly. The 1960s and 70s had hybrid vehicle prototypes created and sent to the Environmental Protection Agency, which only got dropped as a program of the EPA in 1974. Finally, the current trend, seems to be a promising venture in fuel efficient technology as of now. However, when regarding the past, it will be interesting to see how long this particular trend of environmental consciousness will last. The trend may be already over, as sales of hybrid cars reported in 2011 were down from the previous year, and out of the entirety of the automobile industry market, hybrid sales take up only about 2% of it. Hybrids are more or less specialty vehicles, seeing as they only make up 2% of vehicle sales in the market today, their price generally runs about $3,000 more than a comparable sedan that is not a hybrid. This creates difficulty to make sales. Standard car producers are also responding to the increase in fuel prices, and are creating more fuel efficient gasoline, or diesel engines for vehicles, to compete with the hybrid car. The amount of resources invested in producing hybrid cars and their batteries involves a lot of utilization of fossil fuels. Batteries that hybrids use, utilize a nickel metal hydride system that requires nickel mining. After analyzing all of the information collected regarding the production of hybrid vehicles, a decision process must be made through out the entirety of those considering purchasing, developing, and owning hybrid vehicles. These vehicles, although they advertise to seek minimal impact on our environment in reducing greenhouse gas emissions, they still obviously, create emissions and pollution. If hybrid cars are priced higher than standard vehicles, and maintenance on these vehicles is more expensive than standard combustion engines, it is unlikely that the majority of the population will be able to purchase these vehicles. It simply may not be worth their dollars. Ethically speaking, is it right to advertise that these cars are so all-powerful and environmentally friendly? Perhaps not. I think there is still a long way to go in regards to finding alternatives to using fossil fuels for transportation. Unfortunately for hybrid technology, it still requires the use of fossil fuels, even if the amount is significantly less. It will be hard to do, especially since the only alternative to oil, as of now, is efficient battery power, which still requires the use of heavy metals, which also is not necessarily a sustainable resource. Alternatively, it is also unfortunate for me as I will have to focus my environmental conscious on conservation as opposed to an all-powerful solution of a zero emission, non- resource exploiting vehicle. You are currently browsing the Environmental Geography blog archives for February, 2012.